Urinalman is a learning urinal simulator built by Nathan Johnson that simulates this critical life decision and let you know where you stand based on the responses of other users. 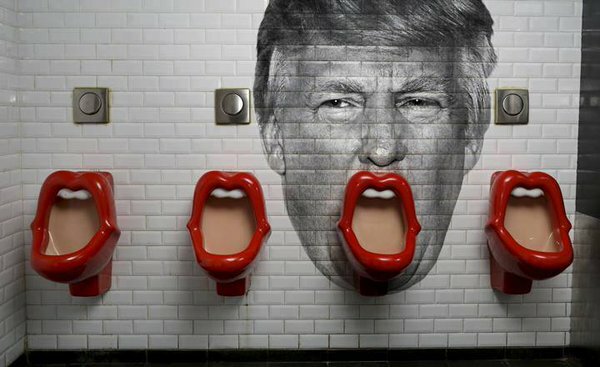 More than 2 million people have tested their urinal etiquette and contributed to the database in the process. Check it out and see where you stand! Round 1 starts off easy enough. There are only 2 possible options unless you are a top-notch douche. The rounds get progressively harder though. If possible we'd like to see a localized version of this test as urinal etiquette is very much dependent on the country you're in. Different countries or societies have different standards for being "too close". Adding some character complexity in stead of the generic man at the urinal would make the game a bit more challenging. Another improvement we'd like to see if ever there was a version 2 would be to add cubicles to the scenarios and also the option to walk out. Now that you're familiar with urinal positioning etiquette, check out the nine other commandments. Two that we'd like to highlight - Thou shalt not maketh small talk and Thou shalt not use thy smartphone. All in all, urinalman is a fun and quick learning simulator for urinal positioning etiquette and we hope it helps you avoid some awkward social situations in the toilet. For more interesting sites to check out, click on the Cool Sites label below.